Theres a cafe on the lobby floor where you can meet your fellow guests over a cup of coffee or tea. We also have a TV and computers, plus a nice kitchen where youre welcome to cook meals. We have a great love of traditional Korean food so this is a great place to taste and learn about local delicacies. We also have tours and classes, such as lessons on how to make kimchi, Korean cooking lessons and hiking excursions. We can also help you book scuba diving trips! We only accept foreign guests to our hostel, so you can get to know your fellow travellers while you explore beautiful Seoul! Take Airport Railroad to Seoul Station then change to Subway Line 4 (the light-blue line) to Hyehwa station. 1. Take exit no. 4. 2. You can find the Baskin Robbins as soon you come out of Hyehwa station exit no. 4. 3. Turn left and go straight, on the way you should see the Starbucks and Samsung Mobile shop. 4. Keep walking to the end of road where you will see the 7th Heaven Coffee Shop and the LOHB store. 5. Cross the big intersection and walk towards to Dunkin’ Donuts directions. 6. Go straight the road between Dunkin' Donuts and the Daiso building (the small street with all the trees). 7. You’ll see the main gate of Sungkyunkwan University on your left, keep walking straight till you see the Dongho pharmacy (동호약국) on your left and a police station on your right. 8. 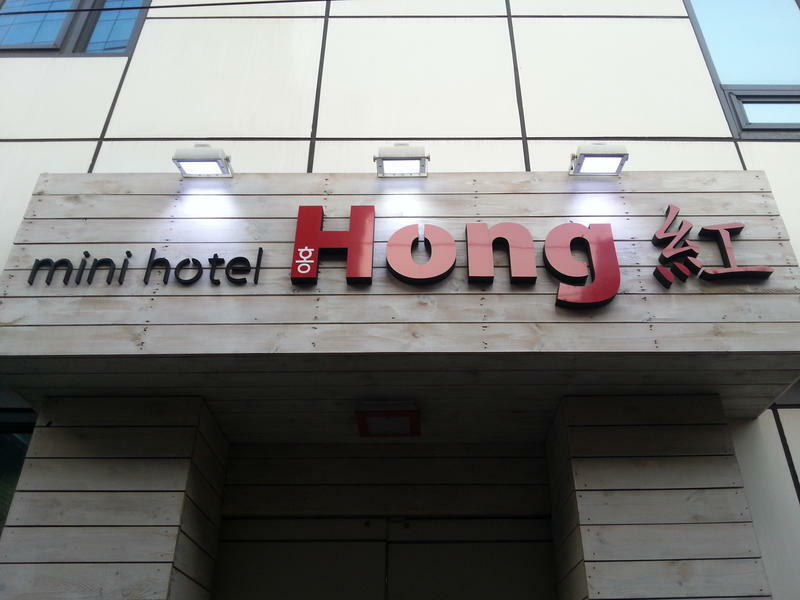 As soon as you see the Dongho Pharmacy, turn left and stay to your left side, you’ll see our Guesthouse on the left. Take Bus 6011 (price 10,000 won) to Sungkyunkwan University station (성균관대) at Airport Bus Stop 5B outside Gate 6. **Please note that the last Airport Bus leaves Incheon at 22:30. 1. After getting off the bus, cross the big intersection and walk towards to Dunkin’Donuts directions. 2. Go straight the road between Dunkin' Donuts and the Daiso building (the small street with all the trees). 3. You’ll see the main gate of Sungkyunkwan University on your left, keep walking straight till you see the Dongho pharmacy (동호약국) on your left and a police station on your right. 4. As soon as you see the Dongho Pharmacy, turn left and stay to your left side, you’ll see our Guesthouse on the left. Take Subway Line 5 (the violet line) to Dongdaemun History & Culture Park station, then change to Line 4 (the light-blue line) to Hyehwa station.